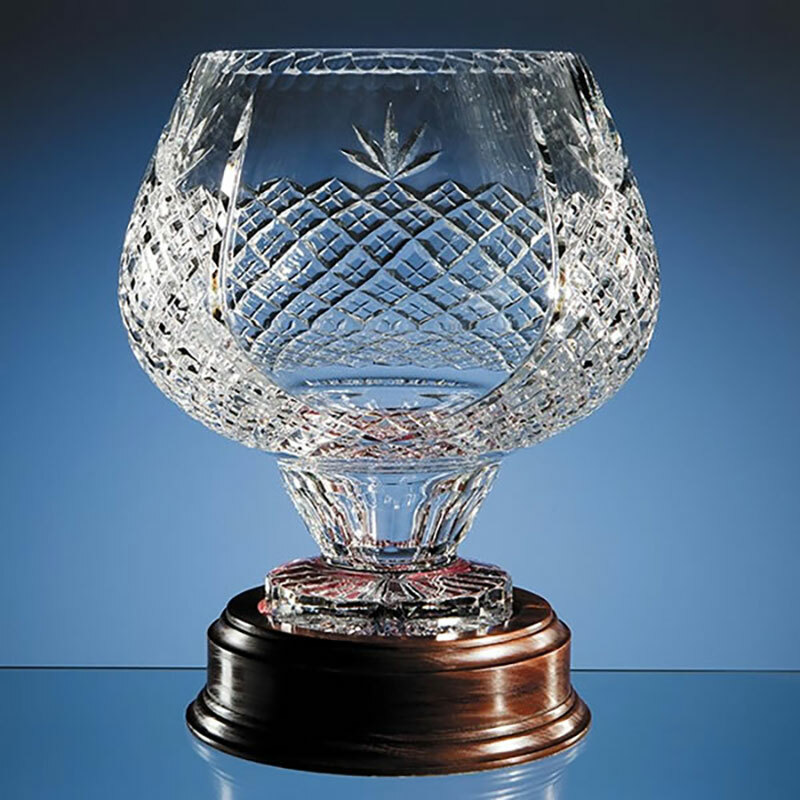 Crystal Ambassador Vase - fine quality lead crystal Ambassador vase, 27cm tall, ideal for engraving as presentation gifts or awards. With this Ambassador vase we are really spoiling you! This classic ambassador vase measures 27cm tall with a diameter of 25cm and is made in 24% lead crystal. It features handcut decoration with a blank panel for engraving measuring some 70mm by 90mm. These imposing presentation vases weigh in at 5.2kg, excluding optional wooden base. Perfect as presentation awards or corporate gifts, these crystal ambassador vases are offered with low-cost engraving of text and free logo engraving from Crystal Awards Supplier.